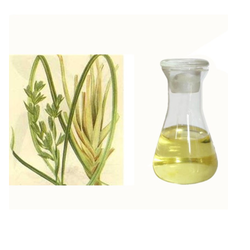 We are known for offering a broad assortment of Citronellol Oil which is natural oil extracted from natural grass (perennial aromatic) through steam distillation. 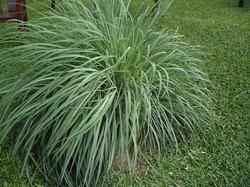 Citronella finds its application as a highly effective insect repellent. We conduct a series of tests by making use of advance technology to ensure that only best range of citronellal oil is produced by our hands. We further pack these by using durable material so that their effectiveness remains for longer period. Color Pale yellow to dark yellow. Our strong domain expertise enables us to produce a finest quality range of citronella oil (jawa), which is extracted from a natural herb called as citronella grass. This vital product range finds its utilization in diverse industries for manufacturing perfumes and detergents. We make available a comprehensive range of Hydroxy Citronellol (Natural), which is manufactured after carrying careful experiments in our state-of-the-art laboratory. We further conduct testing on our product range in our quality testing unit through stringent methods which enables us to produce a superior quality hydroxy citronellol. We are also equipped with all essential resources to offer a customizing in our product range as per client specifications and requirements. We are a trustworthy organisation in offering a wide gamut of Lemon Citronella Oil (Ceylon Type). Consists of (18-20%), limonene (9-11%), methyl isoeugenol (7-11%), citronellol (6-8%), and citronellal (5-15%). Citronella oil is popular as a 'natural' insect repellent. Its mosquito repellent qualities have been verified by research, including effectiveness in repelling Aedes aegypti (dengue fever mosquito). To be continually effective most citronella repellent formulas need to be reapplied to the skin every 30–60 minutes. Research also indicates that citronella oil is an effective repellent for body louse, head louse and stable flies. A study conducted by ARPA in 1963 determined that hydroxycitronellal was an effective repellent against both aquatic and terrestrial leeches. The US Environmental Protection Agency states that citronella oil has little or no toxicity when used as a topical insect repellent, with no reports of adverse effects of concern over a 60-year period. Because some products are applied to human skin, EPA requires proper precautionary labeling to help assure safe use. If used according to label instructions in the US, citronella is not expected to pose health risks to people, including children and other sensitive populations. The US Food & Drug Administration considers citronella oil as generally recognized as safe (GRAS). Canadian regulatory concerns with citronella as an insect repellent are primarily based on data-gaps in toxicology, not on incidents. 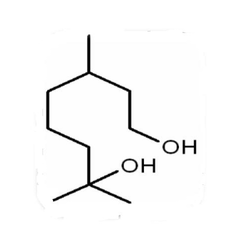 In Europe, Ceylon type citronella oil is placed on the category 3 list, with some safety concern regarding methyl eugenol. In the UK, E.U. legislation governing insect repellents came into force in September 2006, which banned citronella as an active ingredient in any insect repellent products. This applied to both insect repellent for humans and animals. It can still be sold as a perfume, but must not be sold as an insect repeller. Looking for Citronella Oil ?